The installation of renowned English artist Francis Cape’s piece Waterline (2006) in Sunset Park, Brooklyn, featured seventeen framed photographs hung above a wainscot of ochre-painted paneling. 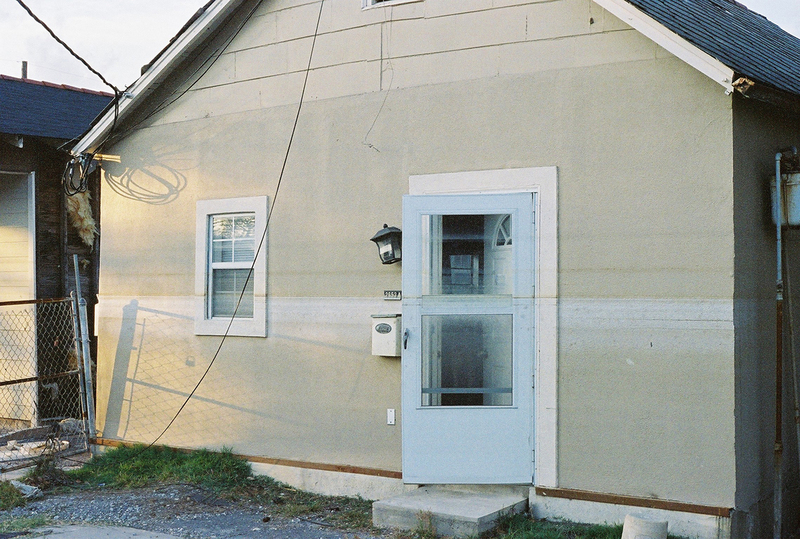 The photographs were taken in New Orleans on November 6th, 2005, two months after Hurricane Katrina, in the towns of Gentilly and St. Roch in central New Orleans. Cape was working on a show at the Louisiana State Museum, where he saw first-hand the aftermath and effects of the flood. His photographs depicted run-down cars, and several dilapidated homes, most of which had a visible, horizontal, flood-marked line going across the ruined walls. For the installation, Cape built a beautiful wainscoting reminiscent of the sheet paneling commonly found in U.S. homes in the latter part of the 20th century. The horizontal line created by the wainscot not only served as a visual counterpoint to the “waterline” found in flooded homes of New Orleans, but also as a stark reminder of what those very same homes could have once looked like (or more optimistically, what they can become). Francis Cape, “Waterline (detail),” 2006. Wood, paint, framed C-prints, dimensions variable. Courtesy of the artist. Originally installed at the Murray Guy Gallery in Chelsea, Francis Cape’s Waterline takes on new meaning in the newly renovated warehouse in Sunset Park, Brooklyn, in the context of Hurricane Sandy. Cape’s ethically charged installation, dealing with the devastation and trauma of Hurricane Katrina in New Orleans, offers both the promise of solidarity and progress to those affected by the storm(s), as well as a sobering reminder of the imminent ecological threats that plague humanity today. Reinstalled here in Industry City, on the occasion of the exhibition Surviving Sandy, Waterline forces the viewer to consider and examine the shared links and meanings between both hurricanes, and the seismic impact both disasters had on society’s cultural, political, and ecological climate. The work here is revisited and re-contextualized to bring together those affected by both floods not only as artists, but also as friends, neighbors, and compatriots.